… Nevertheless, this very victory threatens and may be the death of the modern Abolition movement, and finally bring back the country to the same, or a worse state, than Benj. Lundy and Wm. Lloyd Garrison found it thirty years ago. The Republican party does not propose to abolish slavery anywhere, and is decidedly opposed to Abolition agitation. It is not even, by the confession of its President elect, in favor of the repeal of that thrice-accursed and flagrantly unconstitutional Fugitive Slave Bill of 1850. It is plain to see, that once in power, the policy of the party will be only to seem a little less yielding to the demands of slavery than the Democratic or Fusion party, and thus render ineffective and pointless the whole Abolition movement of the North. The safety of our movement will be found only by a return to all the agencies and appliances, such as writing, publishing, organizing, lecturing, holding meetings, with the earnest aim not to prevent the extension of slavery, but to abolish the system altogether. 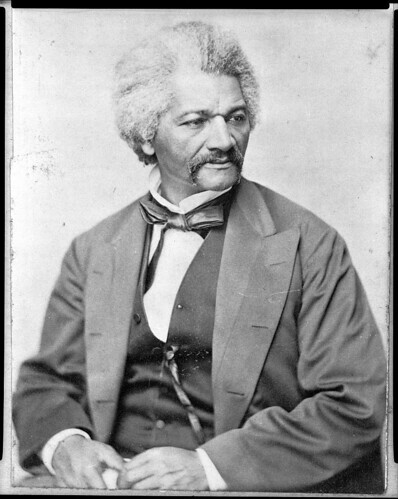 Despite the paroxysms of panic that Lincoln’s election was causing in the South, Douglass took Lincoln at his word, and found that word decidedly lukewarm on the slavery issue. This entry was posted in Abolitionism, Abraham Lincoln, Frederick Douglass, Republican. Bookmark the permalink.